Property Cycles - more predictable than stocks? In 1997, residential property in Hong Kong was more expensive than almost anywhere else in the world. While visitors were sometimes amazed at the sky-high prices paid in Hong Kong, residents were not. Hong Kong was intensely business-oriented, and had pushed itself within a generation from third world poverty, to glittering first world status. It seemed the most dynamic city in the world. This is the place to see how the world will do business in the future, opined Lord William Rees-Mogg, former editor of The Times. Seven years later, that same apartment was worth 30% of its price at the peak. A similar story unfolded in Tokyo eight years earlier. In 1989, the land on which the Imperial Palace stood was valued at more than the whole of New York. Then the Bank of Japan jacked up interest rates and prices crashed. Moral: What seems reasonable at the time, often looks very foolish later! Bubbles characterize all asset markets. A bubble is an irrational over-investment in one particular sector or economy. But what is particularly interesting about property markets is that its cycles, its bubbles and depressions are (unlike the stock market) so smoothly predictable. Since the start of the industrial revolution the world has experienced long waves of growth and contraction, with severe economic depressions occuring at intervals of 45 to 65 years (the Kondratieff cycle). There is also a regular shorter term cycle of around six to 12 years, which came to be called the business cycle. In the latter part of the 19th century a large body of literature built up to explain the business cycle, which came to be seen as the central problem of economics. One of the leading lights of the behavioral finance school, Robert Shiller, began his research in the real estate markets. In property markets the 'perfect market' theory simply doesn't work. The normal pattern of real estate price movements is a smooth curve, upward or downward-sloping (see summary 1 Pyhrr, Roulac and Born (1999)). Graphs of property prices look very different from stock market graphs - they are smooth curves, not angry trails left by buzzing mosquitoes. Though property markets behave completely contrary to perfect market theory, "as recently as the late 1980s," note Pyhrr, Roulac and Born, "it was not uncommon to hear a finance professor dismiss the concept of real estate cycles... and suggest that research on the subject was misguided." A pioneering series of papers published in 1986-1988 began fatally undermining the existing consensus. Case and Shiller studied the psychology of the price movements during the US 1983-87 house price boom (Case and Shiller, NBER 1988). House prices doubled in many parts of the US over four years. "Housing prices are booming," buyers polled by Case and Shiller tended to worry: "Unless I buy now, I won't be able to afford a home later." Buyers never cited any concrete evidence about the economy, or housing supply, etc. Rather than being based on objective economic facts, the optimism of buyers was based on mutually reinforcing conversations. "An especially striking feature of the...answers," noted Case and Shiller, "is that not a single respondent referred to explicit quantitative evidence relevant to future supply of or demand for housing." 'Objective' factors only explain a portion of house price rises and falls. Much of the rest is cyclical, and is explained by the market's own history. This blew a hole in the perfect markets theory. Property markets move in something like a smooth curve - which is what you get when you follow a rule such as: 'buy in period T, if the price has risen in T-1'. •Increases in national income (GNP). In a recent BIS six-country study (US, Canada, UK, Australia, Netherlands and Ireland) a 1% increase in GNP growth was associated with a 1-4% rise in real house prices after three years. The effect was greatest in Ireland, least strong in the U.S.
•Reductions in interest rates. A 1% reduction in the short-term interest rates is associated with ½ to 1 1/2% increases in house prices within a year. The effect is strongest in Canada and the Netherlands, weakest in the U.S. and the UK. •Equities prices increases. In the UK, variations in stock prices explain 35% of all house price growth over a three-year time horizon, while variations in GNP explain around 20%. In the US, Canada, and Ireland, a 10% equities price increase causes about a 1% house price increase over three years. Yet above all, buyers pay attention to what other buyers are prepared to pay - not some exogenous 'objective' information. So there is no perfect market driven by external news - but rather a predictable market, feeding on itself. The moral is simple: do not always believe that the current market high is due to 'fundamental' factors. Real estate markets tend to fluctuate between undervaluation and overvaluation. What is 'high' for a market, and what is 'low' is largely a matter of history, and of comparison with other assets. Over-valued property markets are extremely seductive. There are often good reasons to believe that a particular market deserves higher valuations than it did in the past, or than other markets deserve. And sometimes (to make matters more complicated) these arguments are right. The global property cycle for the past 100 years has followed a predictable 20 year cycle. Whereby global property peaks every 16 years then followed by a 4 year negative period. Generally the property cycle peaks before the share market and so it can be an excellent leading indicator. Globally property peaked around 2005/2006, prior to this it was 1986/1987 and before that it was 1969. Normally you know that you are close to the peak also as copper prices tend to also be peaking around a similar time frame. By understanding this cycle will help with the long term forecasts. "There are also a whole lot of Property Investment courses and I know people who have paid a lot of money and found it an absolute waste." Have you found one yet in the UK that teaches how cycles work? In fact, Campbell's whole approach is based on the Reality of cycles. This is something that many in the UK will have to learn "the hard way." 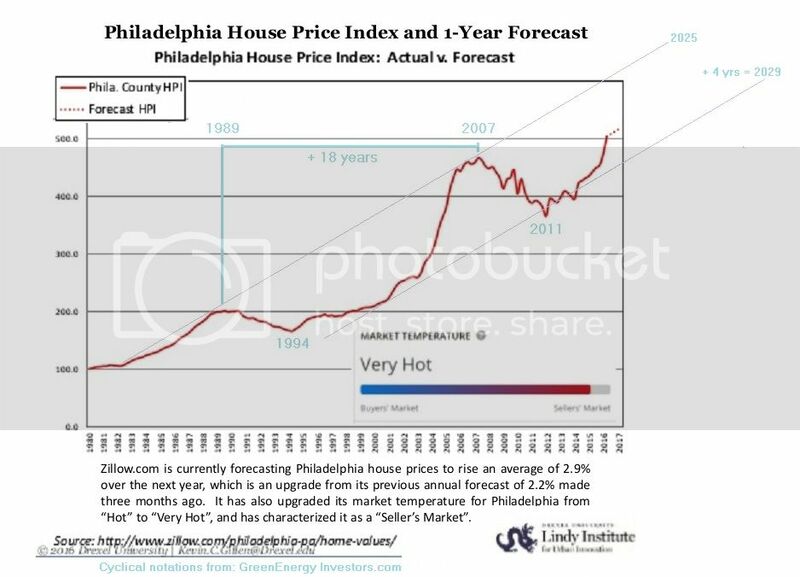 Suppose somebody handed you a 28-year time-tested system that would tell you ahead of time when property values were going to hit a peak … and then when prices were going to hit bottom years later. If you could anticipate these kinds of critical real estate events in advance … then not only could you make spectacular profits, but you could protect your money as well. Sounds pretty amazing, doesn't it? Actually, it's not. The real estate market does signal its future intentions if you know where to look. Let me introduce myself. My name is Robert Campbell and I wrote Timing the Real Estate Market to help both professionals and ordinary people make the most money in real estate with the least amount of risk. Based on a major breakthrough in tracking and predicting real estate trends, my book reveals the real estate timing technique that I call The Campbell Method. As far as I know, The Campbell Method is the only proven method in the world that shows how to accurately anticipate upcoming changes in your local real estate market. "California SELL signal in August 2005." "In the 4th inning, out of 9... Possible low in 2011." Original chart from Makati Prime "gateway page"
"Marcos bought the Philippine elite's support at that time by giving them the means not only to survive the severe 1984-1985 economic crisis but to grow richer." As a result, the economy shrank by 20 percent from 1983 to 1985, the deepest such contraction in the post-war period." "The Philippines elites were protected... through the Marco's regime's so-called "Jobo bills", named after banker Jose B. Fernandez... with unheard of interest rates, which steadily went up as high as 60 percent in mid-1985." Clearly, this will have triggered a crash in Philippines property prices, which are interest rate sensitive. #3 : 2002 : 2016 : 2020?/ P 64k : P152k : 2.4X : P120K?? "Of the top 20 tallest buildings in Philadelphia, only 7 were built before 1986, and of the top ten, ALL of them were built after 1986. By contrast, in booming Houston, all but 3 of its 20 tallest buildings were built before 1986. In Dallas, only 5 of the 20 tallest buildings were built in 1986 or after, with just one of them built after 1988. ... Philly re-invented itself. 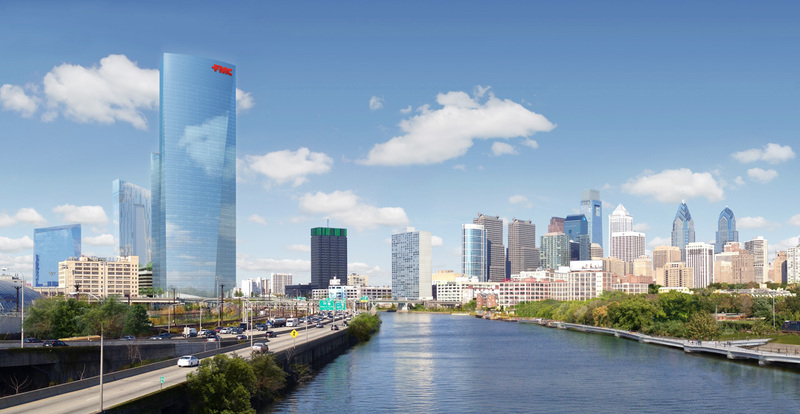 No longer a manufacturing city it is now a world class city for "Eds/Meds/Tourism/Culture"
That's Comcast's new Technology Center, which has been said to be set to do* some "bird flipping" to those who once knocked the city.